From many viewpoints in Guatemala’s western Highlands, the Volcán Santa María stands like a sentinel overlooking its kingdom. Wrapped in a vortex of clouds, the volcano is a constant reminder to the population of Quetzaltenango and environs of its eruption a century ago that almost completely destroyed Guatemala’s second largest city. Yet today, Santa María stands as one of the most rewarding–and difficult–climbs in all of Central America. 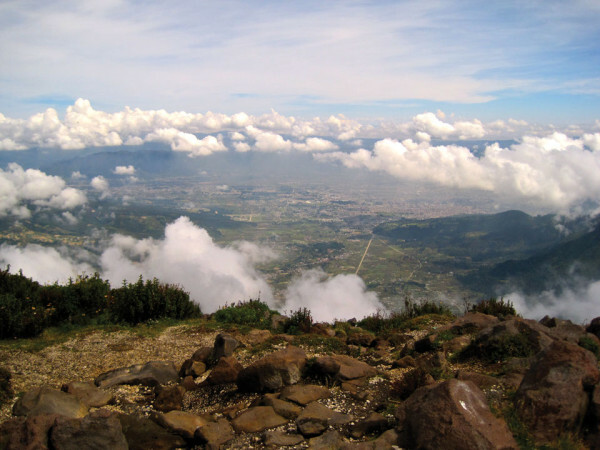 Soon after moving to Guatemala, I signed up to climb Quetzaltenango’s Mount Olympus. The ascent was brutal, less “leisurely hike” and more “clawing your way up a cliff face.” The task is complicated by how high you’re going: Quetzaltenango alone sits at 7,500 ft., and over the next three to five hours you’ll be scaling another 5,000 ft. It doesn’t help that you will probably be passed by lines of Maya women wearing plastic sandals, balancing packages on their heads. This happened a few times while I was bent over sucking air, and was reminded of getting passed years earlier by a Girl Scout troop while climbing Half Dome in Yosemite National Park. Neither were my proudest moments. Those same women will most likely be heading to the summit for a religious ceremony combining ancient Mayan traditions, Roman Catholicism or Pentecostal worship into a unique combination often called costumbre. The circles of chanting women form part of Guatemala’s incredible cultural tapestry, and are unforgettable to witness. But upon reaching the top yourself, you will at least momentarily forget about them, because there are few places on Earth that can compare to this view. The 360 degree panorama lets you see the bottom of the Sierra Madre in Mexico, the border of Belize, and the flickering waves of the Pacific. Even on an overcast day, you’ll be so far above the clouds you’ll feel like Zeus, presiding over your distant subjects below. Many will argue you haven’t truly done Santa María until you’ve completed the midnight hike, which is exactly what it sounds like: choose a full moon night, begin climbing at one in the morning, and watch the sunrise light up the continent from the best box seats around. Just prepare for a freezing hike up. The hike down, while considerably shorter, can be pretty brutal on your knees. Wear good shoes, and be prepared with a poncho (if it’s the rainy season) or warm clothes if you’ve picked anytime during the dry season. There’s no entrance fee, but since the path can be a bit unclear an organization like Quetzaltrekkers is a good idea for a first timer. Never try it alone, especially since there have been sporadic reports of hikers being robbed near the base. 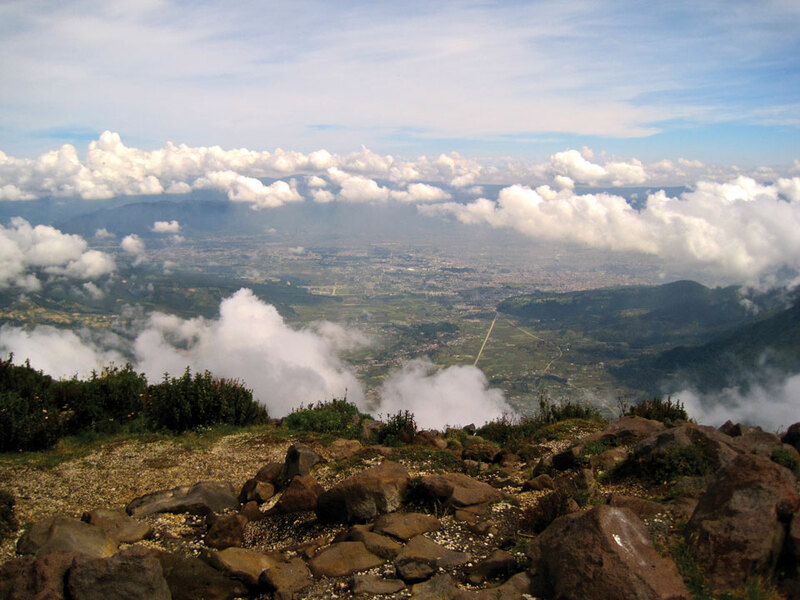 Guatemala offers tons of hiking options, including the larger Volcán Tajumulco farther north. But nothing compares to Santa María’s proximity to a great city at the bottom and breathtaking view at the top. Pack lots of water, a good camera, and remember sun screen on your neck.